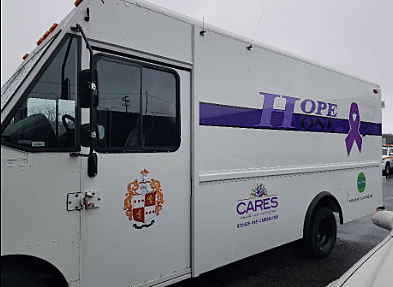 On Thursday April 21, 9 a.m. – 2 p.m., the CARES outreach vehicle will be at Glenfield Park, 21 Maple Ave. Stop by Hope One for: Access to Detox; Access to Rehab; Access to Mental Health Services, Access to Recovery Services and Information and Support. There will be free Narcan training, Narcan kits and screening for services. The Opioid Overdose Prevention Project is made possible by funding received from the New Jersey Governor’s Council on Alcoholism and Drug Abuse, New Jersey Department of Human Services, Division of Mental Health and Addiction Services and Morris County Prevention Is Key, INC.
For more information go to caresnj.org or contact CARES 973-625-1143 ext.23.